Endodontia is a therapeutic procedure for dental treatment, i.e. removal of the nerve and infection from the dental chamber and the root canal canal after bacterial penetration. It also implies tooth decay (seals) – conservation. 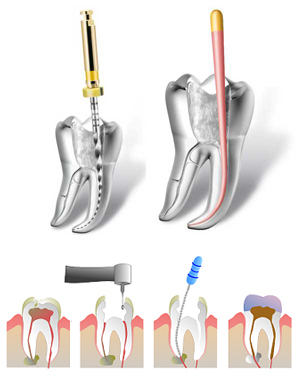 Endodontic treatment is actually a treatment in the interior of the tooth. Dental caries over time lead to the destruction of dental tissue. The resulting damage is taken care of by setting appropriate amalgam or composite fillings.